I create works that evoke the rhythms of ancient cave paintings and the randomness of dreams. 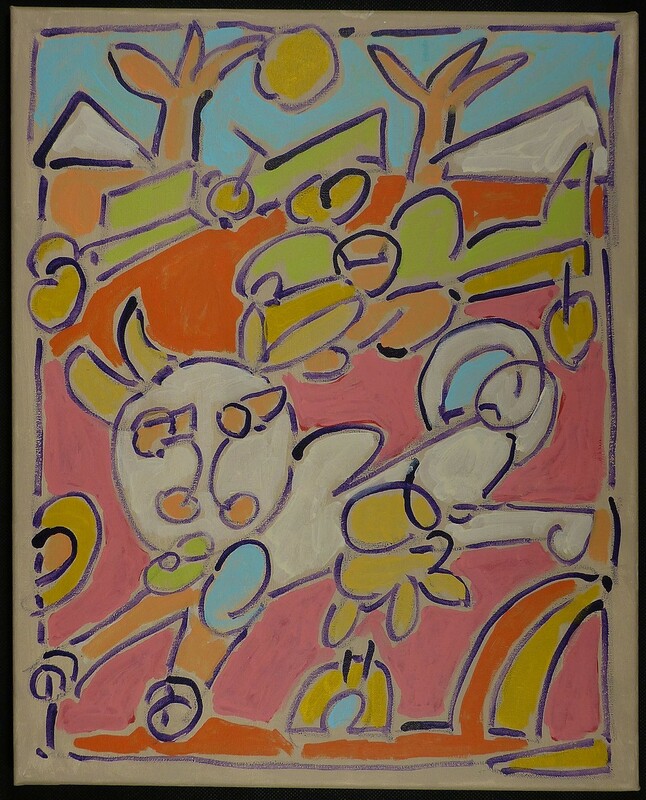 I have been influenced by such artists as Paul Klee, Miro, Hundertwasser and Chagall. I don't paint the world realistically. I paint a counterpoint world where the lines hold the structure,and color gives this universe it's emotional strength. My pictures are influenced by media images transformed by my brain. I use line as pictorial haiku . I use color to evoke the hidden auras. My work is holy and profane. It is grounded in jazz and folk root elements. It is concerned with the dualities of human nature and the polarities of the world.